Nokia has lifted the curtains on the new N9, the successor to the Symbian^3 operated N8 released last year. The new addition the N-series of multimedia phone from Nokia is the first – and last - handset from the vendor to use the Linux-based open source mobile operating system, MeeGo. In February, Nokia revealed it has abandoned plans to move forward with MeeGo and will instead pursue Microsoft’s Windows Phone OS for future handset releases. It will be launching a Nokia Windows Phone OS handset at the end of the year, according to the vendor's CEO, Stephen Elop. 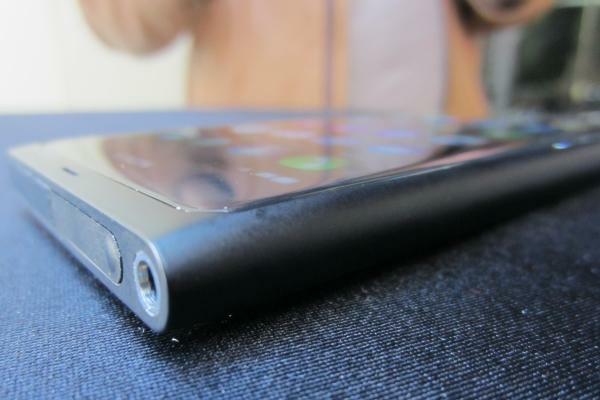 The N9 was showcased at a media event in Sydney. Windows Phone 7 OS is not compatible with the N9. Users of the N8 handset will continue using Symbian OS and will only be able to upgrade the system to Symbian Anna, the updated version of Symbian^3, in the near future. Once at the zenith of the mobile phone industry, Nokia has experienced a steep decline as Apple and Google continue to nab marketshare with iPhone OS and Android OS respectively. But Nokia Australia managing director, Chris Carr, expects the N9 to do well in the local market. Nokia seemed unperturbed by the idea of launching N9 with the MeeGo OS despite the company's intentions to use Windows Phone OS for future products. What OS a phone uses isn't really that important for consumers, Nokia Australia product and technology marketing manager, Kurt Bonnici, said at the press event in Sydney. The N9 phone uses a full 3.9-inch AMOLED scratch-resistant touchscreen and swipe gestures for navigation. The colour goes all the way through the plastic casing, making superficial scratches less obvious. It has an 8-megapixel Carl Zeiss camera capable of capturing HD quality videos. There is a strong emphasis on the multitasking with the N9 which is capable of split screen navigation which allows users to get an overview of applications opened through small preview windows. A quick access menu is also available but is not customisable. One of the downfalls of N9 is the restriction on customisation. From the current preview models, users will not be able to customise a number of aesthetic qualities and features on the phone but Nokia’s local representatives has stressed demonstration models all feature early software and hardware. Changes may be seen on the final version of the N9. More solid information may be available closer to launch, which is set for August. The N9 will be available through major telco carriers but exact details on availability and pricing remains unknown at this stage. The phone will be released in three colours: black, magenta and cyan with either 16GB or 64GB memory.